December 1, 1928: Judy and her sisters, “The Gumm Sisters,” as part of The Meglin Kiddies group, performed at the Los Angeles General Hospital Children’s Ward, Los Angeles, California. 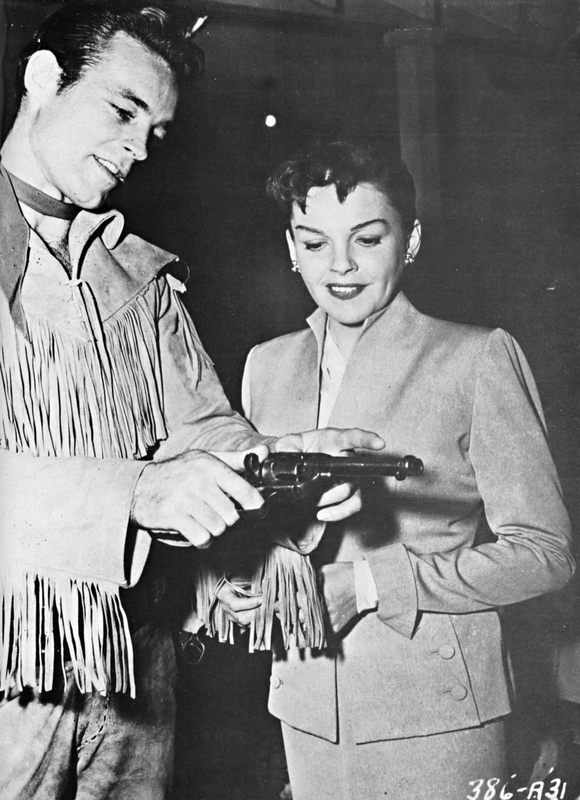 December 1, 1935: Judy took part in (or at least attended) the Will Rogers Memorial Fund “Show of Shows” at the Shrine Auditorium in Los Angeles, California. 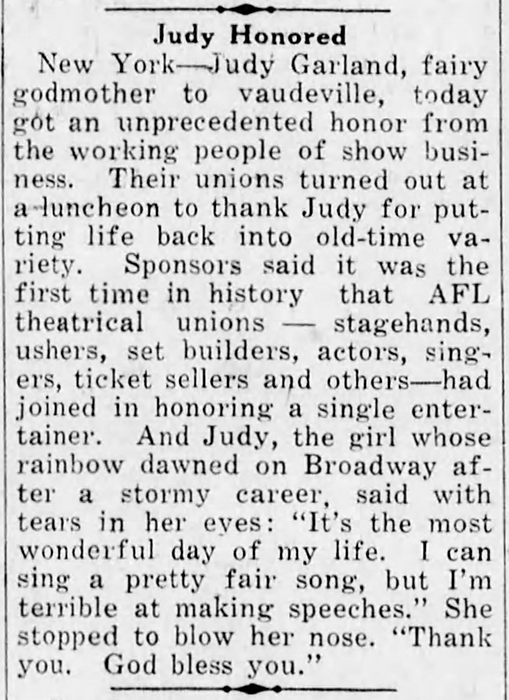 It’s unknown if Judy performed at this event and if she did, what she sang. 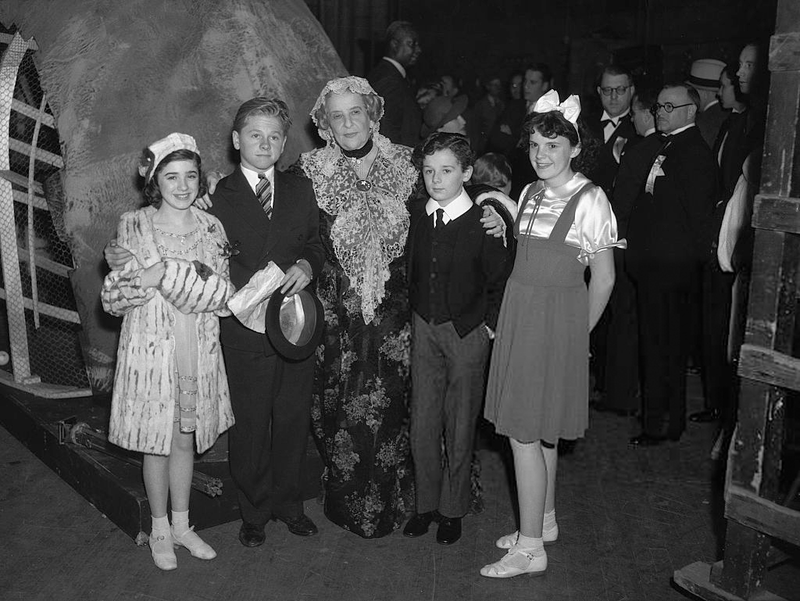 The original caption for the second photo reads: Snapped at the benefit show for the Will Rogers Memorial Fund, given in the Shrine Auditorium, here are Edithe Fellowes, Mickey Rooney, May Robson, Freddie Bartholomew and Judy Garland. December 1, 1938: The Wizard of Oz filming continued with scenes in the Witch’s Castle, specifically the chase around the courtyard and inside the turrets including the famous melting of the Wicked Witch of the West. Check out that huge set! 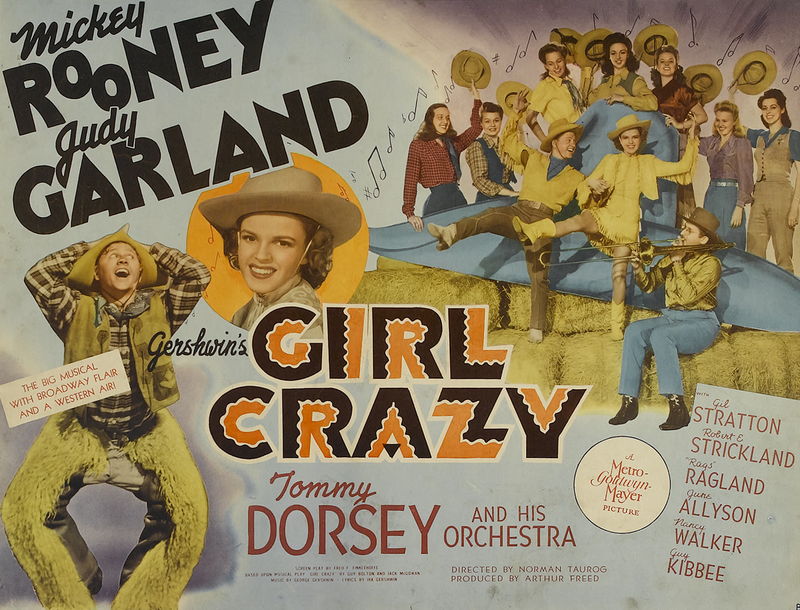 December 1, 1942: Judy had rehearsals for Girl Crazy. Time called: 10 a.m.; dismissed: 4:45 p.m. These rehearsals were most likely for the “I Got Rhythm” number. 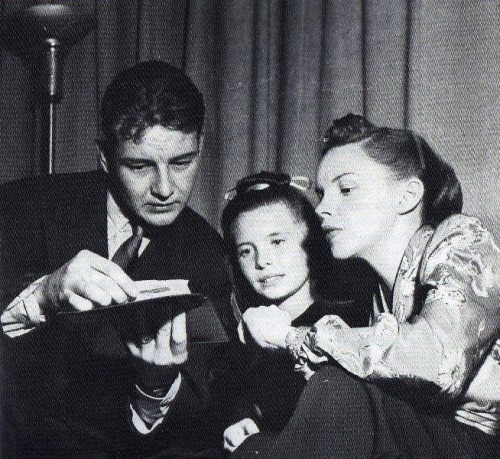 December 1, 1943: Judy had a music rehearsal of “The Trolley Song” for Meet Me In St. Louis. She had a 4 p.m. call, arriving at 4:30 p.m.; dismissed: 5:40 p.m. The title song of the film was also recorded on this day, the version that opens the film with Harry Davenport and Joan Carroll singing the bulk of it and Judy and the MGM chorus coming in at the end. 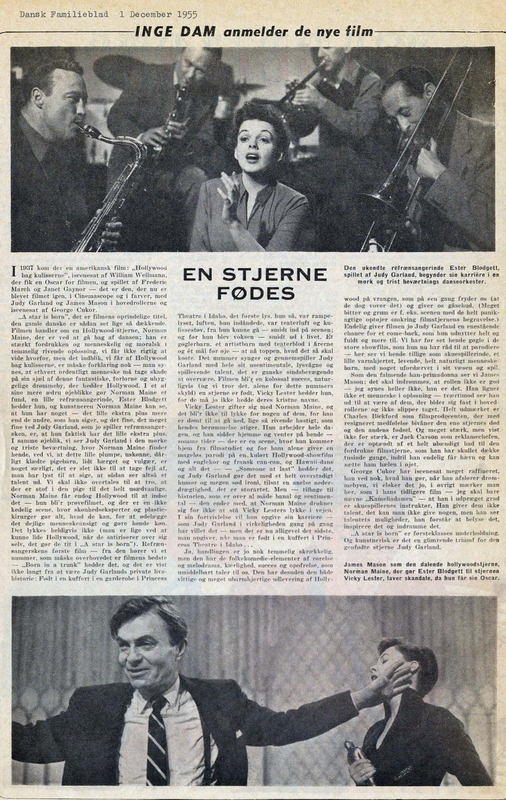 Judy’s barely heard here (her duet of the song with Lucille Bremer was prerecorded on December 3rd), and she’s not listed on the Daily Music Report. This was the only day this version of the song was recorded so Judy and the chorus was probably added at the end and not documented (they were in the vicinity rehearsing “The Trolley Song” so it’s not a stretch that they could have been called over). 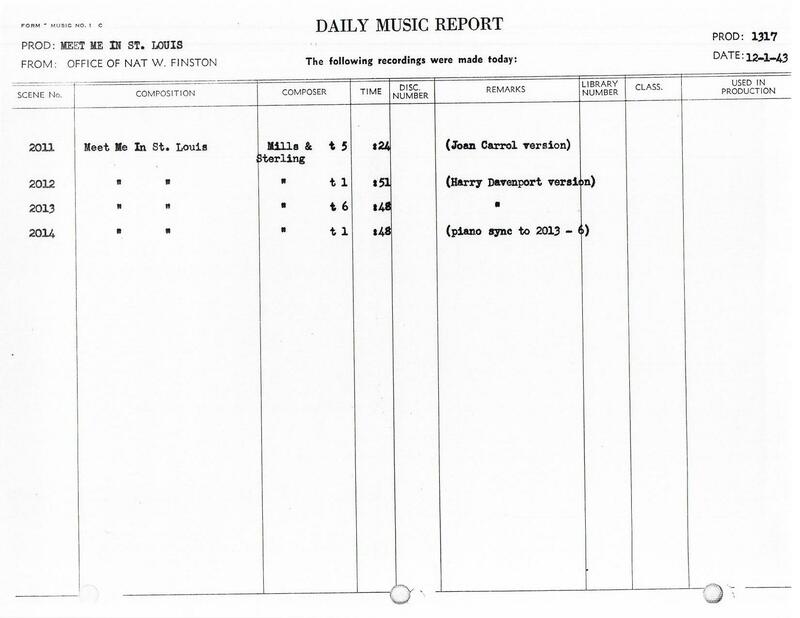 The omission on the Daily Music Report is odd for MGM as they were meticulous note-takers but basic human errors did happen from time to time. December 1, 1944: Famed photographer Bob Landry took these photos of Judy on MGM’s backlot. 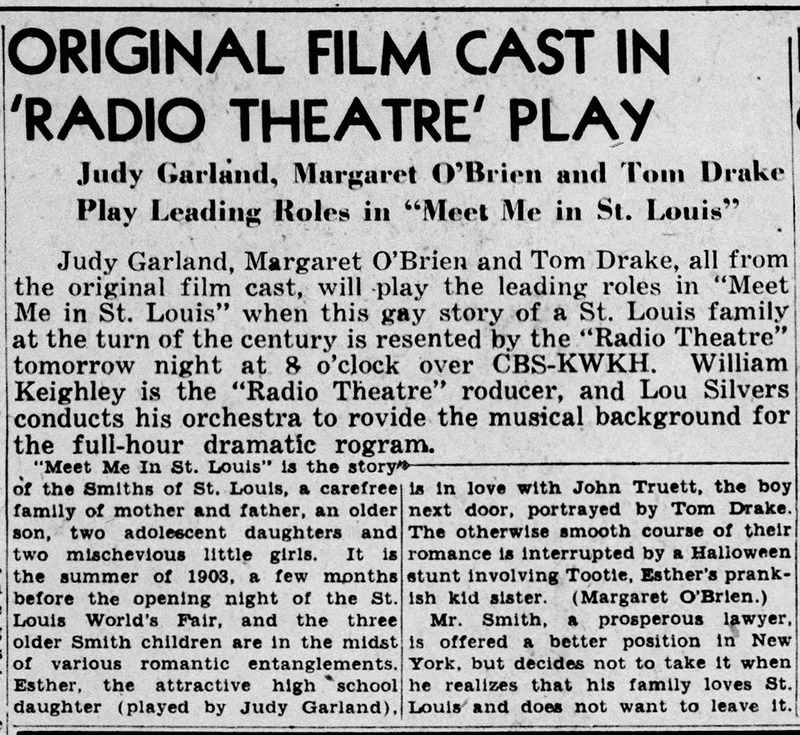 December 1, 1946: Judy, along with Margaret O’Brien and Tom Drake, rehearsed the radio version of Meet Me In St. Louis for the Lux Radio Theater broadcast (live) the next night. Luckily, both this rehearsal and the following night’s performance were recorded. 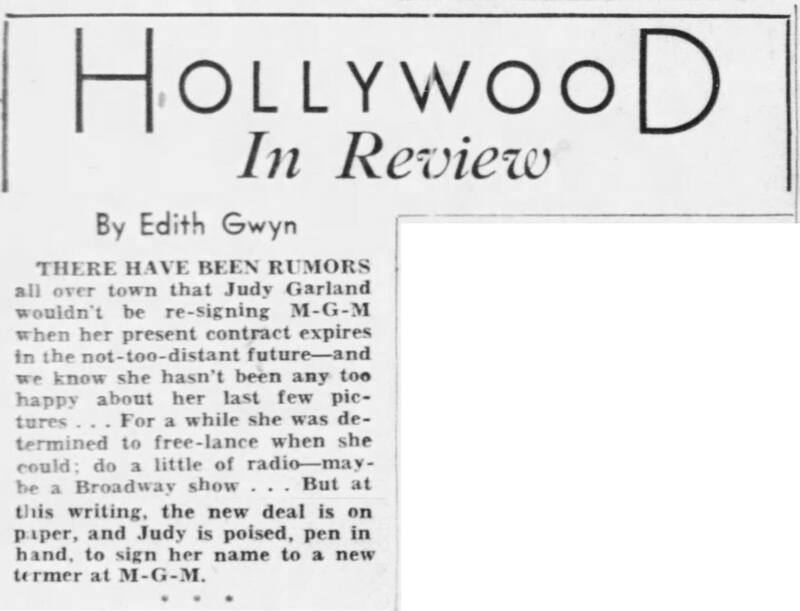 December 1, 1946: Edith Gwyn’s column noted the rumors about the fact that Judy might not sign a new contract with MGM when her current contract expired. This was true. Judy had expressed her desire to freelance after her current contract with MGM expired in August 1947. The timing of the publication of this rumor is odd. 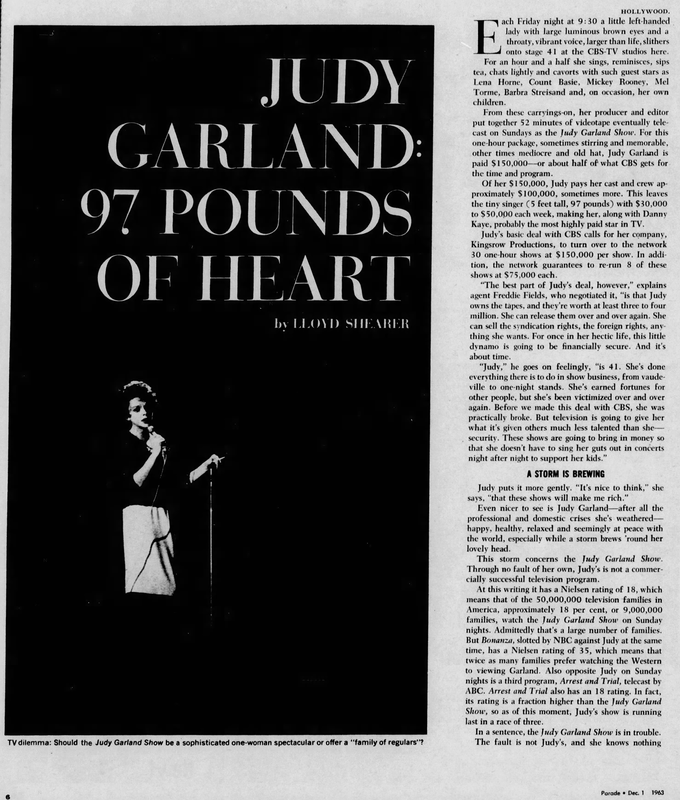 Judy had already signed a brand new contract with MGM (which superseded the contract that was to end in August 1947) and returned to the studio on December 2, 1946, after being on maternity leave for a year. Daughter Liza Minnelli was born March 12, 1946. In January 1946, MGM gave Judy a $500 a week raise on her current contract. That contract began in 1940 at $2,000 per week for three years, $2,500 per week for two years, then $3,000 for the last two years. 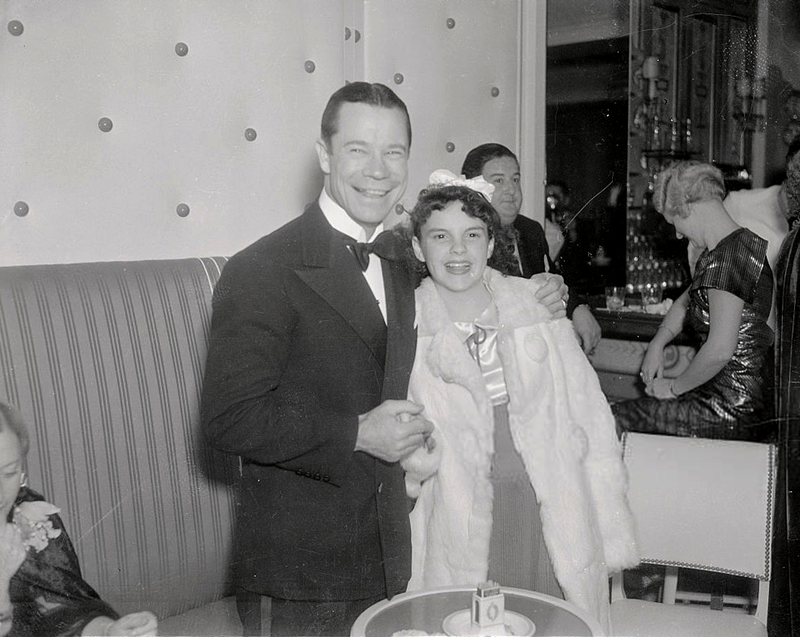 MGM knew that Judy wanted to freelance when previous the contract expired in 1947 so they dangled an incredibly lucrative contract in front of her well ahead of that scheduled expiration date. 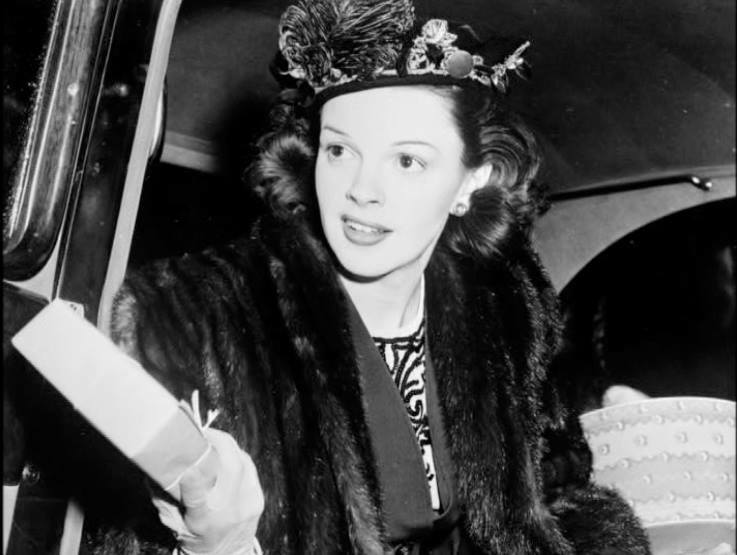 They offered her: A weekly salary of $5,619.23 with a guarantee of $300,000 per year, $150,000 per film (in 1946 dollars!) 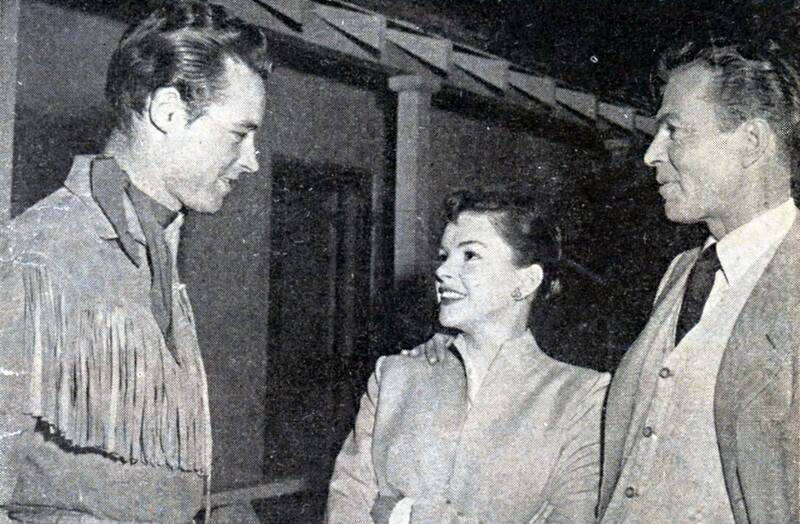 Judy could continue to work with her husband, director Vincente Minnelli. She only needed to make two films per year, one of which could be a guest appearance but still retain top billing. She could keep her makeup artist, Dottie Ponedell and make “phonographic records” and radio appearances. Judy signed the new contract and later said that as soon as she did she realized she made one of the biggest mistakes of her life. 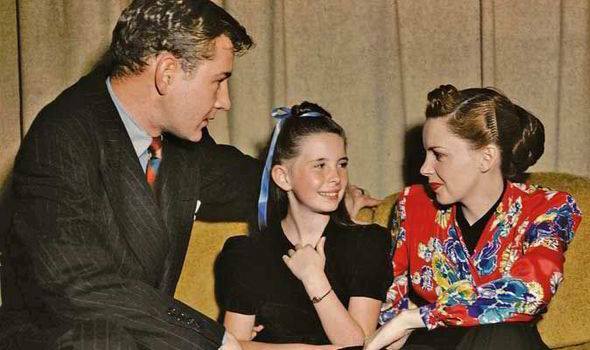 The new contract was a special contract for five years (rather than the standard seven) and went into effect before Judy’s December 1946 return to the studio. December 1, 1947: Judy had a call for retakes on The Pirate but was ill and did not work. 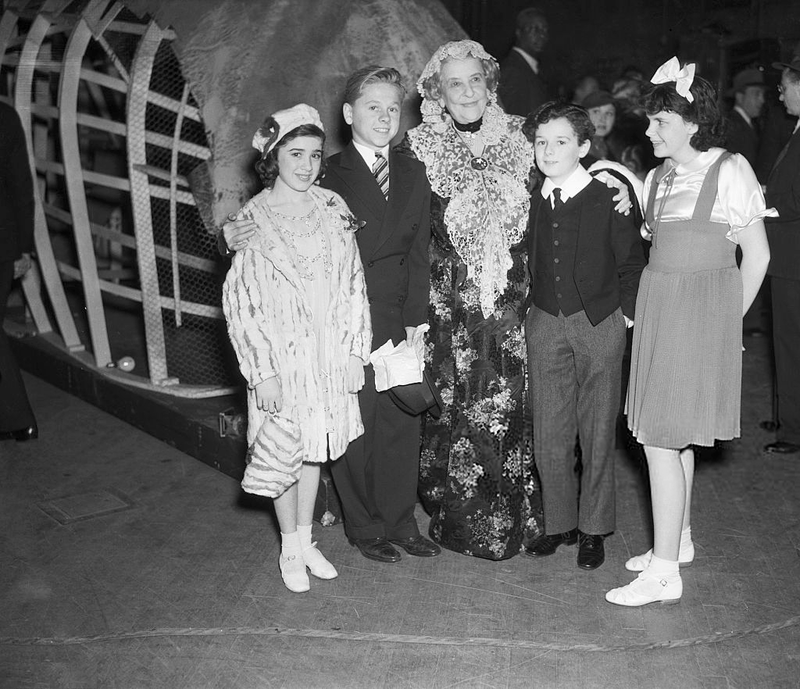 She had been out from the studio from November 27th through the 30th due to not having any calls for both Easter Parade and The Pirate. Judy usually wasn’t afforded that many days off in a row. 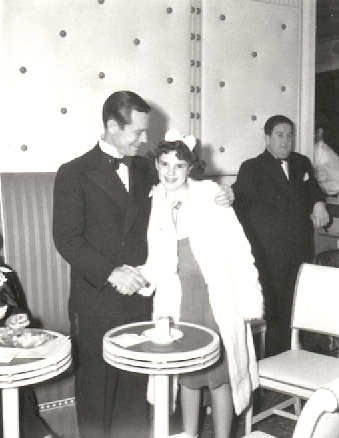 Check out The Judy Roo’s Extensive spotlight on Easter Parade here. December 1, 1951: Two Palace items. The first is a notice that the English comic Max Bygraves was leaving the show, replaced by ventriloquist Senor Wences. 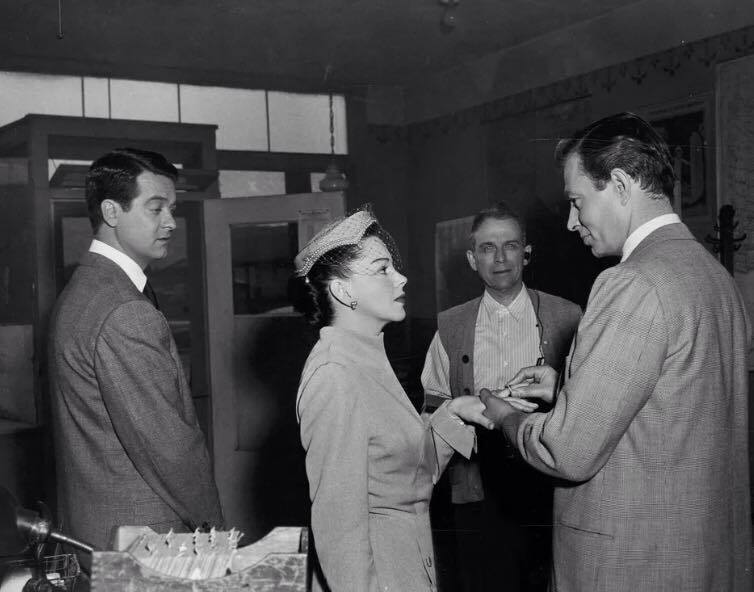 December 1, 1953: Actor Guy Madison visited the A Star Is Born set. 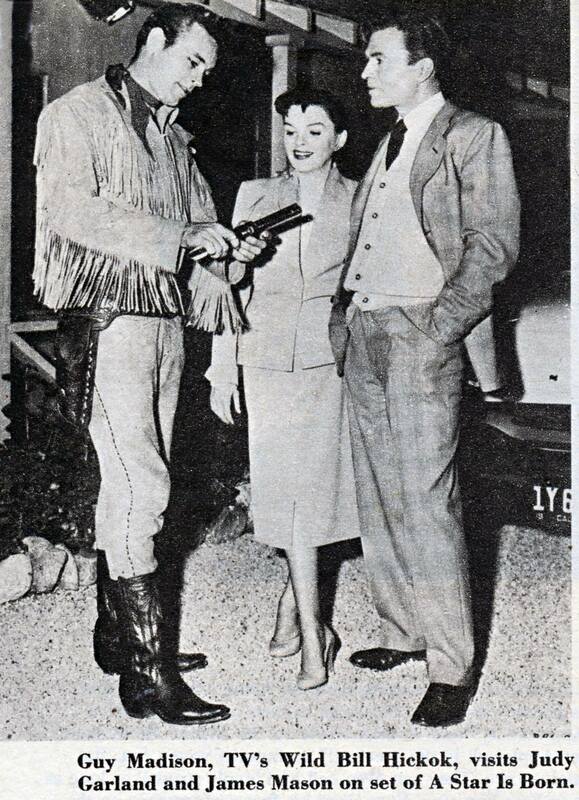 This day’s filming consisted of scenes shot on the “Interior Sheriff’s Office” including the marriage of Judy’s “Esther Blodgett” to James Mason’s “Ernest Gubbins.” Time started: 10 a.m.; finished: 5:15 p.m.
December 1, 1955: This article about A Star Is Born was published in the 1955-12-1-“Dansk Familieblad” magazine in Denmark. Photo: Judy in London in 1960. 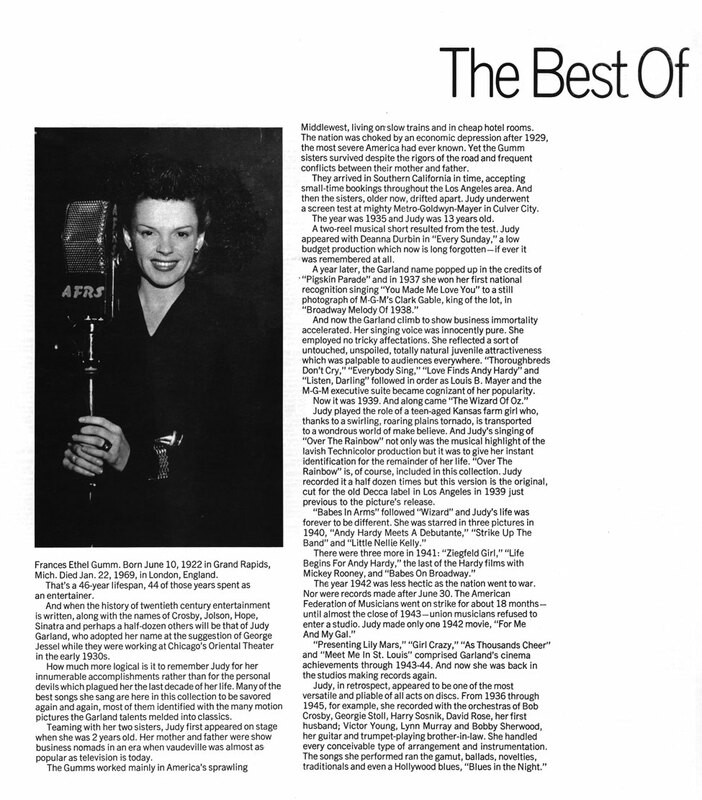 December 1, 1961: This review of the new LP from Decca Records, “The Magic of Judy Garland,” makes it seem that the recordings are new when in fact this album is a compilation of Judy’s Decca studio recordings from the 1930s and 40s. 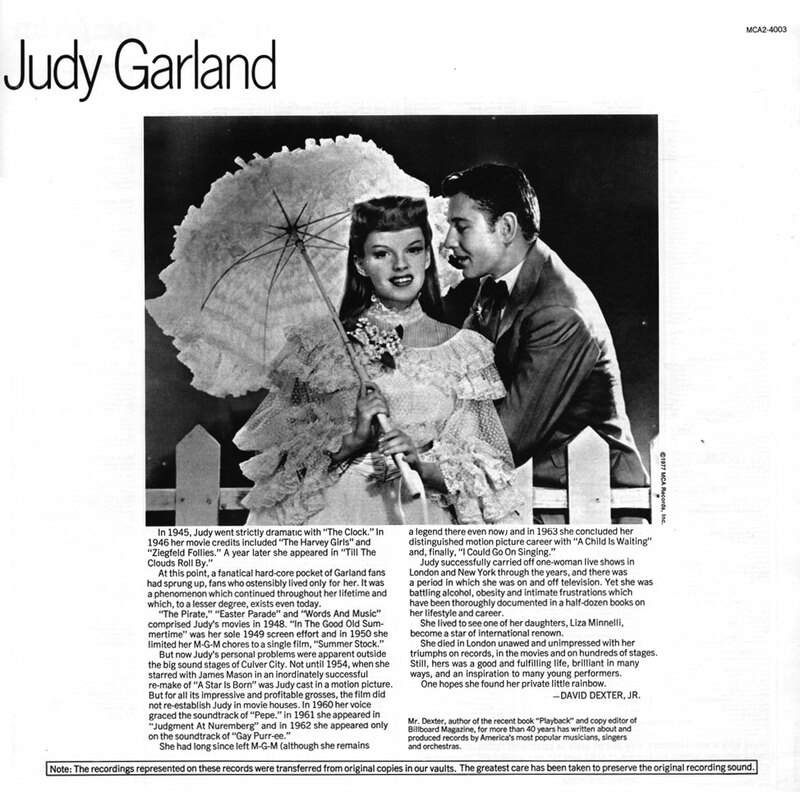 Check out The Judy Garland Online Discography’s “The Magic of Judy Garland” page for details about the album. December 1, 1963: Here’s an ad for Decca Records’ new series “The Best Of” which were two-record gatefold sets featuring various artists. This two-LP set was available by Decca (then MCA Records) for quite a long time. 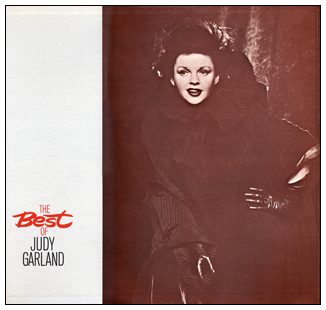 It was the definitive “best of” album of Judy’s Decca work until the compact disc era. Of note is that Decca mistakenly used the previously unreleased “B” take of “Dear Mr. Gable” and listed it as the “A” take. This error would not be rectified until the 1990s. This set was released in both mono and “simulated stereo.” The latter was a process that was very popular at the time (MGM Records used the process in some of their soundtrack reissues). The “simulated stereo” was created by taking mono recordings and adding some echo, and upping the bass on the left channel and upping the treble on the right channel. For me, this process was always a little discerning. I had a button on my old receiver that switched the sound to mono, so I would use that button to listen to these “stereo” records. The records in this album are set up with “Record One” being sides 1 & 4, and “Record Two” being sides 2 & 3. This was done so people with the stackable record players could stack both records together and play the tracks in order by simply flipping over both records at the same time after the first sides of “Record One” and “Record Two” had played. The set was re-released in 1974, but not in the gatefold format. Instead, a sheet was inserted into the sleeve (see below). 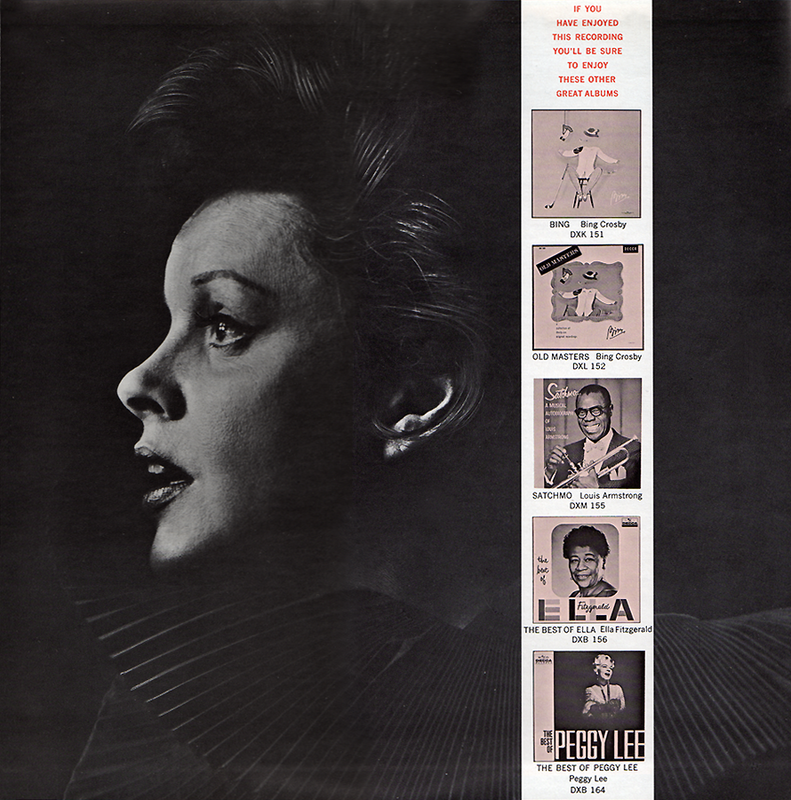 This two record gatefold was released in the United Kingdom under the MCA “Coral” label (#CDSP-803) with the same cover art but different photos on the inside; and was released in an abridged version (#CPS107) with the same cover art and titled “Greatest Performances – Judy Garland.” In 1977, MCA released a cassette version, with the same cover art as the 1973 album reissue, #MCAC2-4003. The only known CD release of this album is the 1989 Japanese release. 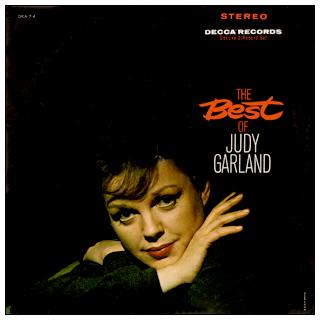 Check out The Judy Garland Online Discography’s “The Best of Judy Garland” pages for details about the album and its various releases. 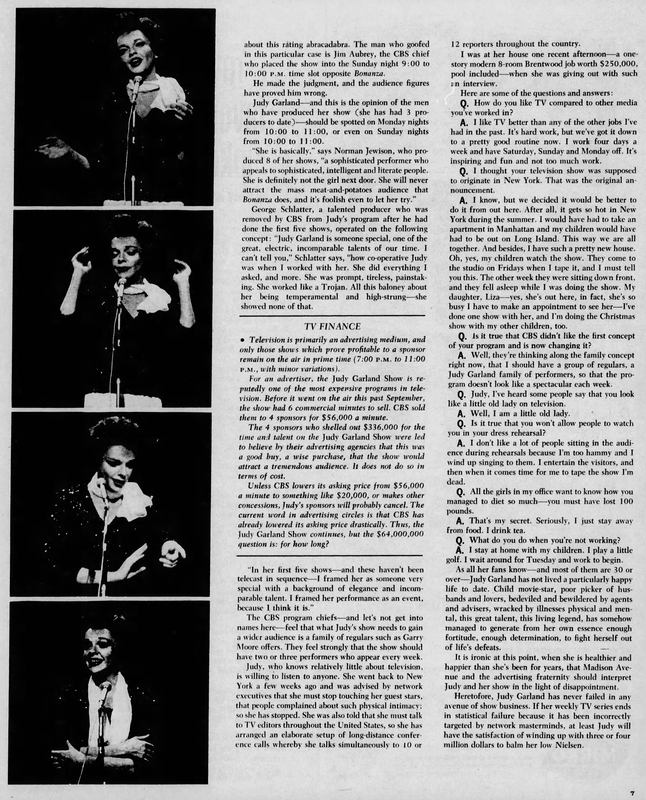 December 1, 1963: “Episode Thirteen” of “The Judy Garland Show” was broadcast on CBS-TV. Additionally, the final “Tea For Two” segment with Carl Reiner that was taped with “Episode Twelve” on November 1st was included in this broadcast. Shearer concludes with, If her weekly TV series ends in statistical failure because it has been incorrectly targeted by network masterminds, at least Judy will have the satisfaction of winding up with three or four million dollars to balm her low Nielsen [ratings]. 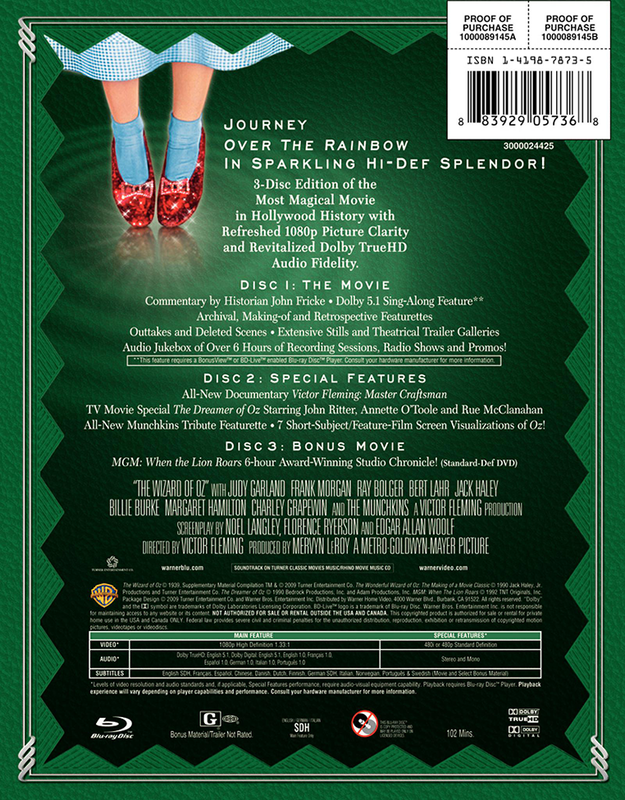 December 1, 2009: The “Emerald Edition” of the recent Blu-ray version of The Wizard of Oz was released. 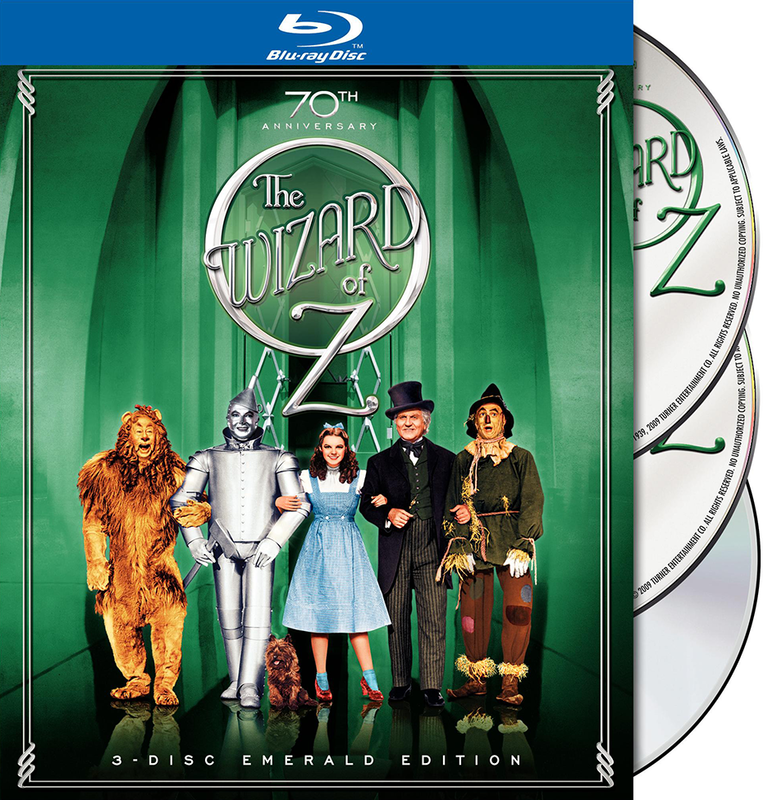 This was the first general release of the Blu-ray with extras after the deluxe boxed set was released on September 29 (the film’s premiere on the Blu-ray format). Only Walmart and Target had separate non-boxed-set Blu-ray versions available for a limited time that previous September. 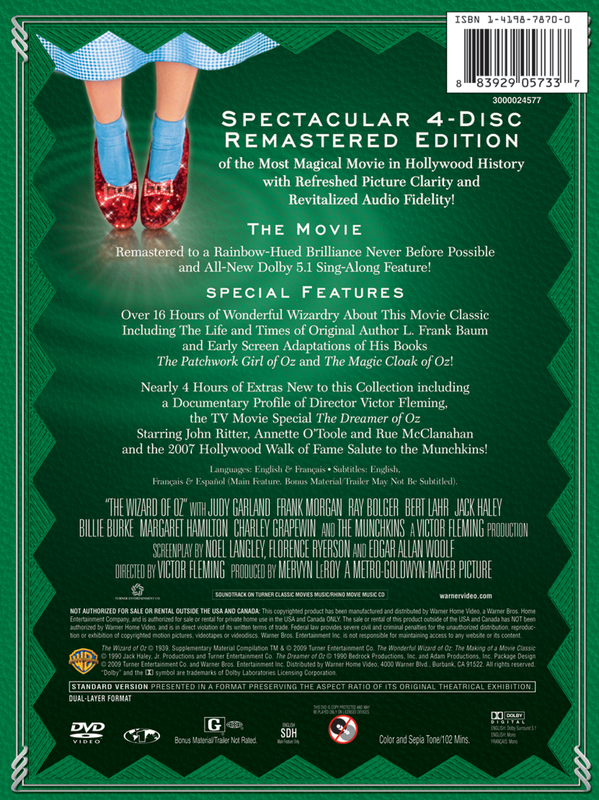 This “Emerald Edition” was also released in the standard DVD format (right two images above). 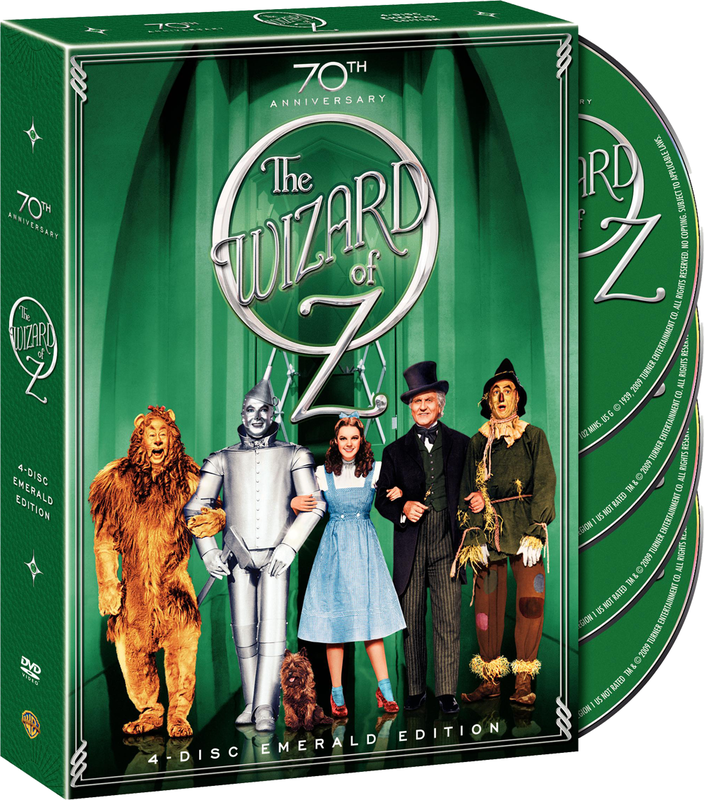 Check out The Judy Room’s “DVD/Blu-ray” pages about the 70th-anniversary editions of the film here. The 1944 photo shoot: These are incredibly interesting in that, while Judy was at the height of her MGM beauty, this is the first time she looked so TIRED! She had just finished “The Clock” (an exhausting shoot, given it changed directors), and was about to begin SIX MONTHS on “The Harvey Girls” (my VERY favorite, for some reason), so we know how overworked she was. But these are the only photos of this time of her life where her face looks like either “A Star is Born”, or – in some shots – her TV SERIES. It’s her eyes….so, so tired. Very telling. Agreed! You can really see the weariness in her eyes. And while there are many brilliant and delightful performances on the series, there are an equal amount of times during which she looks tired and her voice is very froggy. It’s a mixed bag, but thank God we have them.